Katie Harris goes for the net. Picture by Clive Jones. 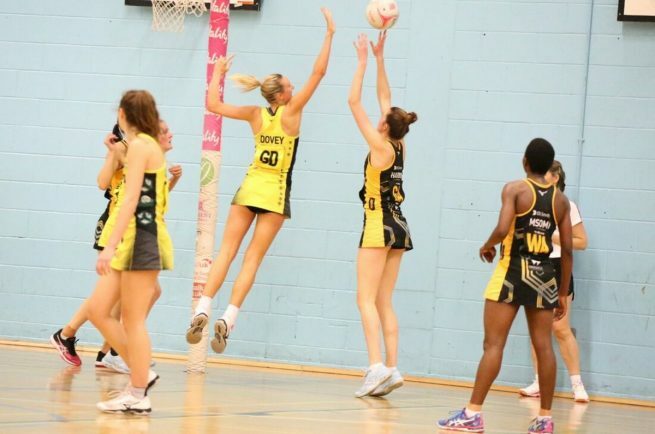 WASPS Netball have dropped to third in the Vitality Superleague, after suffering a second successive loss in a 50-49 defeat away to Manchester Thunder. The one-goal margin of victory for the Thunder puts them three points clear at the top of the table, ahead of second-placed Saracens Mavericks – who are level on points with Wasps but in front on goal average. Mel Mansfield side trailed in the first-quarter and overturned the scores to lead at half-time, but suffered a downfall in the final-quarter at the hands of the spirited hosts. The Wasps head coach was understandably disappointed with a third defeat of the season, but saw signs that her side are capable of putting a downturn in form behind them. “It’s a tough loss to take but we have to look at the positives from the game and we showed we can build a lead against one of the strongest teams in the league. 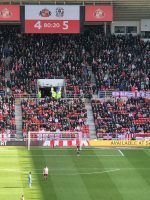 “Defensively we were excellent and shut down their attack for long periods of time but we’re making errors at key times. Mansfield highlighted the drop in performance in the final-quarter as an area for improvement, but still maintains that her Wasps side are on track and meeting expectations for the regular season. “The aim is always to make top four and we’re still on track to do that. Joyce Mvula presented the Thunder with an early lead, but every time Wasps clambered to put together an attacking move, the hosts were well placed to put a stop to the threat. A three-goal lead was built by Thunder after they turned over possession to add two quickfire goals, eventually leading by six, until Rachel Dunn’s accurate finishing in the shooting circle brought her team back into it at the end of quarter one. Dunn continued her deadly shooting in the second-quarter, whilst Katie Harris provided further goals to ensure Wasps drew level. The visitors eventually took the lead at the end of the first two quarters after another goal from Dunn, which prompted them to take a five-goal lead in the third-quarter. However, some determined closing down from Amy Carter and her team-mates enabled Thunder to gain a foothold in the game again, although Wasps would finish strongly. The fightback from the hosts was continued in the final-quarter, with Kathryn Turner finding the net to level the scoreline with five minutes left on the clock. Going ahead by three goals, Wasps cut the deficit to one, but the sound of the buzzer nullified their search for an equaliser.